Have you ever been in a position where your voice-over-IP (VoIP) telephone service sounds terrible? While hosted voice services typically offer similar or superior call quality to publicly-switched telephone service or legacy PBX systems, quality issues can exist for several reasons. Poor-quality business phone service can be embarrassing and project an unprofessional image of your brand. It certainly impacts employee productivity and even worse, may result in costly mistakes or lost sales that hurt your bottom line. Whether you already have VoIP or are considering making a switch from your legacy analog or PRI service to hosted voice and are thinking proactively about how to avoid call quality issues, knowing about how to deal with issues is beneficial. In this blog post, we'll discuss some of the most common VoIP call quality issues and their causes. You'll learn basic tools for troubleshooting and how to avoid these problems. If you're experiencing dropped calls and/or persistent sound quality issues, your Internet Service Provider (ISP) could be the root problem. In some cases, small businesses with a minimum number of phone lines can attempt to implement low-cost VoIP phone service without even thinking about its impact on their bandwidth. In other cases, your ISP may offer lower-than-advertised speeds which are taking a toll on your voice and internet services. To test your current internet speed, click here. It is critical to upgrade your business-class Internet service when implementing hosted phone service. If you haven't made the switch from cable to fiber-optic Internet services, it may be time to consider the reliability and speed benefits of an upgrade. There are significant benefits to opting for a unified business communications provider who provides both Hosted PBX and Internet connectivity on the same network. Especially since many call quality issues are caused by problems with voice packet transmission over the public Internet. Your VoIP calls are transmitted across your ISP's network to your phone provider, sharing resources with all of your Internet provider's other Internet users. Your audio data is essentially fighting for priority against all other types of data, which can result in persistent quality issues that are incredibly difficult to resolve. When your hosted phone service provider also provides you with Internet connectivity, your voice packets don't have to travel across the open Internet to get to the voice servers. For Atlantech customers, our Hosted PBX infrastructure resides on the same network, so there's no long-distance travel for voice data packets. On top of that, we prioritize voice packets over all other data transmissions—so your phone calls don't have to fight to win bandwidth from other people in your office doing other tasks on the network, such as downloading files, participating in webinars or sending and receiving emails with attachments. It's smart to shop for a vendor who offers unified business communications services. By bundling your phone, internet, and data services with a single vendor, you can achieve greater network transparency and avoid complex troubleshooting. Are you dealing with crackly-sounding calls? Is it difficult to hear and discern what the other person on the call is saying? In many cases, this can be a result of jitter, one of the most common quality issues. Cisco defines jitter as "a variation in the delay of received packets." With cloud-based phone service, audio is transmitted as "packets" over the Internet. As you place a call, the packets are sent in an evenly-spaced, continuous stream. However, they're not received in proper order, which can result in terrible-sounding calls. In extreme cases of jitter, you may perceive the sound fading in and out of audibility. Jitter can be caused by several root issues with your phone service or internet service provider, which include network congestion, improper prioritization of traffic, or configuration errors. Solving it may require increasing your bandwidth, changing your prioritization to place voice calls above internet traffic, or resolving minor hardware incompatibilities. Persistent issues can also be solved by moving your VoIP and Internet to a single provider. If there seems to be a noticeable delay before the other person on a call responds, you could be suffering from call delays or latency. This can also result in an "echo" effect. Latency can be measured using milliseconds. Voice delays of 50 ms or more can typically be perceived, while a latency of 50ms or less is recommended. While some latency is acceptable, anything greater than 50ms can have a noticeable impact on your call quality. While there are several different classes of delay, the most common form of delay that can result in quality issues is propagation delay. Here at Atlantech, we consider 50ms to be very high. Our latency is in the single digits. 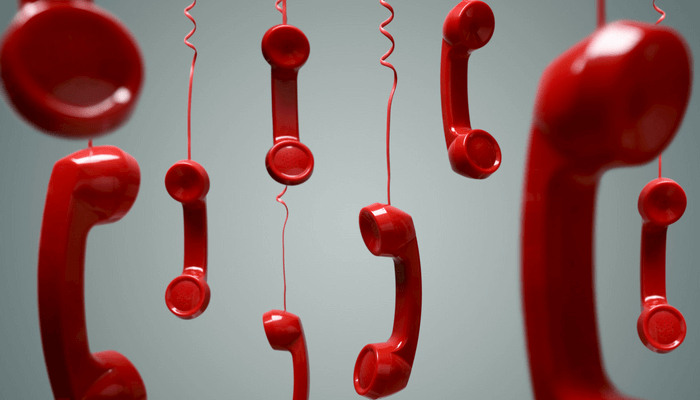 If you are dealing with a range of call quality on a daily basis, from dropped calls to excellent audibility to denial-of-service when attempting to make a call, you're facing an inconsistent call quality issue. While inconsistent call quality can be caused by low bandwidth, it may also be caused by an insufficient or poor-quality network. Sudden drops in call quality that occur simultaneously with demands on your internet, like file uploads, can be the result of prioritization. You may need to upgrade your router, switch, or Internet service. If your business is experiencing dropped calls on a consistent basis, you're probably more than a little frustrated. While any quality issue is unacceptable, dropped calls can be among the most damaging to your operations. Inadequate or poorly-planned quality of service can result in dropped calls. If you're hitting your bandwidth limit each time your call volume spikes, you're likely experiencing dropped calls due to insufficient data resources. When dropped call issues are not caused by insufficient resources or planning by your VoIP carrier or insufficient Internet connectivity, it could be a problem with equipment configuration. If your phone service provider isn't actively monitoring and troubleshooting basic service metrics, it may be time to make a switch. If you've experienced persistent call quality issues and have had difficulty troubleshooting effectively, it may be time to consider simplifying your network. Bundling your internet and phone service can allow you to achieve better network transparency and control, including effective prioritization of voice packets. 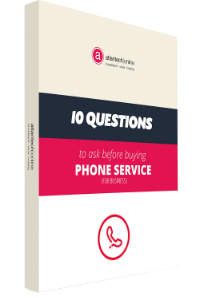 Best-of-class phone service vendors work proactively to solve quality issues before they occur. This may involve continual monitoring and measurement of a number of quality issues, which can include latency, jitter, and other quality of service (QoS) measurements. To learn more about how Atlantech Online offers leading quality of service to our hosted voice customers, click here to start a conversation today.